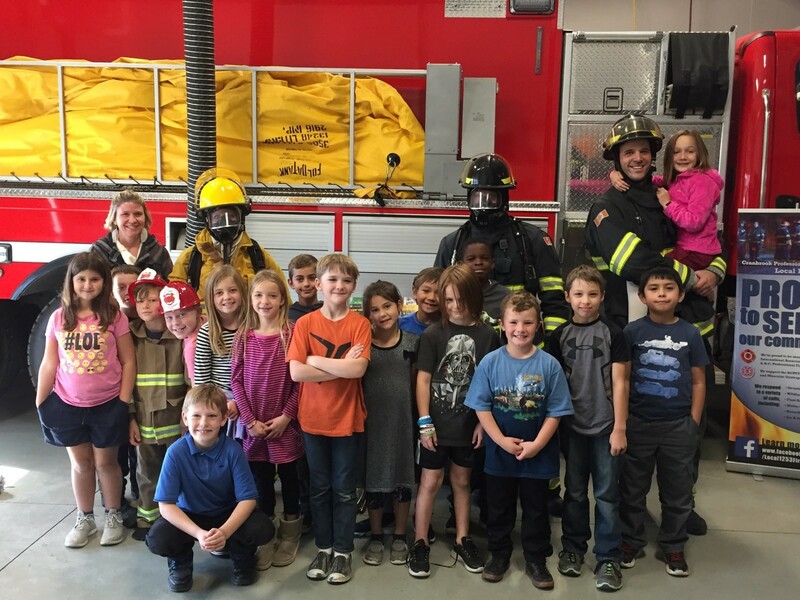 Cranbrook, BC (October 22, 2018) - Over 400 grade three students from Cranbrook were able to learn about the importance of fire safety, with visits to the Fire Hall for Fire Prevention Week. Although, Fire Prevention Week ended on October 13, the popularity for classes to visit Cranbrook Fire & Emergency Services encouraged firefighters to extend presentations until October 19th. CF&ES conducted 18 presentations to 19 different grade 3 classes over the past two weeks. Students and teachers also had the chance to see some of the firefighter gear, equipment and trucks. Cranbrook Fire & Emergency Services encourages the community to always keep fire prevention top of mind throughout the day and throughout the year. Be sure to look, learn and listen. Be aware that fire can happen anywhere. Left: Ms. Bettcher's grade 3 class from Kootenay Christian Academy. 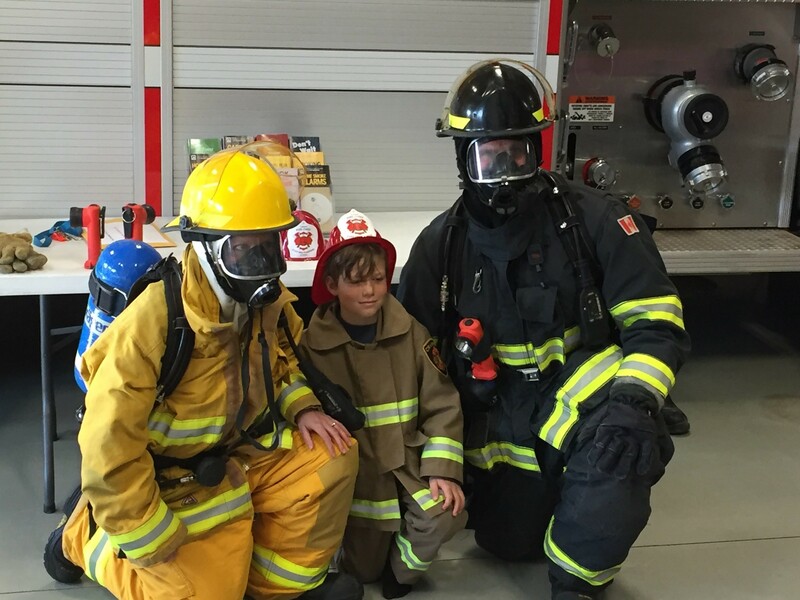 Right: Ms. Bettcher, grade 3 son Kieran and firefighter Justin Bettcher (Team Bettcher) pose during the class tour. Photos: Cranbrook Fire & Emergency Services.